Lavender earl grey - Monsieur T.
Imagine yourself in a lavender field that extends as far as the eye can see, far from concrete sidewalks. Are you there? To retain that feeling on a daily basis, drink this tasty blend of black tea, bergamot and captivating lavender. 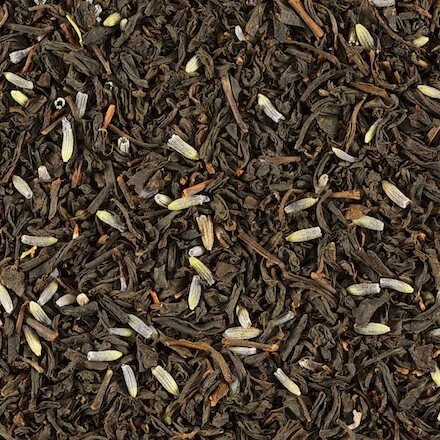 It’s not surprising that this lavender Earl Grey is oftenly used in pastry receipe. It’s simply delicious and goes well with a touch of sugar. Contains: Black tea blend, lavender flowers, bergamot flavor.